Admissions Counselor Jennifer Walters and Coordinator of Transfers Ellen Harrison snuggle infant kittens transferred into our care from Hopewell Animal Services. 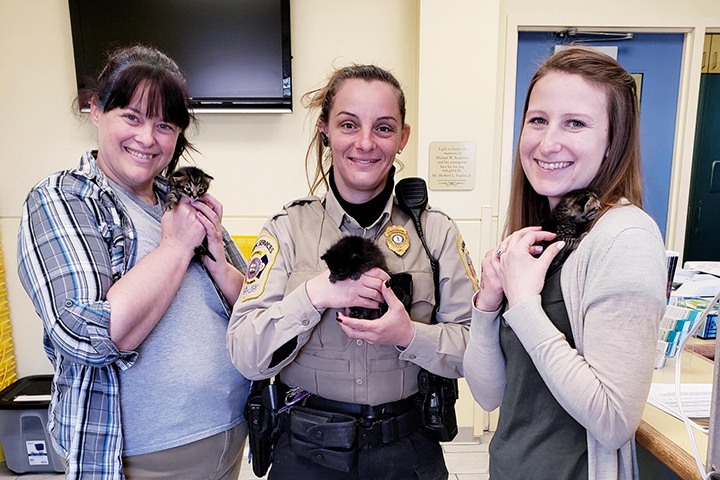 In honor of National Animal Control Appreciation Week, Ellen Harrison, coordinator of transfers, gives an inside look at the Richmond SPCA’s partnerships with animal control agencies statewide. We partner with and visit more than 50 government shelters throughout Virginia to save lives. We see the dedication that the staffs of these agencies devote to the animals in their care. These partners strive to make Virginia a safer place for homeless pets—and they want to assure happy futures to thousands of deserving pets. In localities where the prospects for adoption are poor and resources are limited, these government agencies work to find private humane organizations like ours to transfer their pets to so that those pets can receive crucial veterinary medical treatment and be adopted to loving, lasting homes in other communities. We are proud to partner with animal control agencies and their officers, and we are grateful for the opportunity to join forces to save more lives. Public animal control agencies are very different from private humane organizations, like the Richmond SPCA, in that the former exist to perform essential law enforcement functions that keep the community safe. They investigate instances of animal cruelty and neglect and they respond to situations threatening the safety of other animals and people. Publicly-funded agencies are charged with protecting public safety. When our Admissions team arrives at animal control agencies, we are greeted warmly and provided with helpful information about the pets in need of transfer. Animal control staffs give us their observations of the animals in their care, and we rely on this information as we maximize our resources to save the most animals who need us as possible. Over the time that our Admissions team and I have spent working with these partners, we have developed strong relationships and friendships with the staffs of the animal control agencies that we visit. 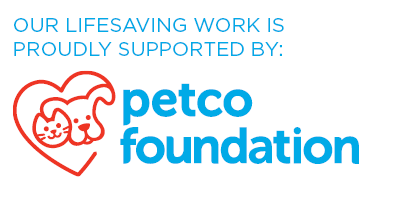 We are honored to work with them to make Virginia a more compassionate and caring place for all companion animals. Ellen Harrison is our coordinator of transfers. 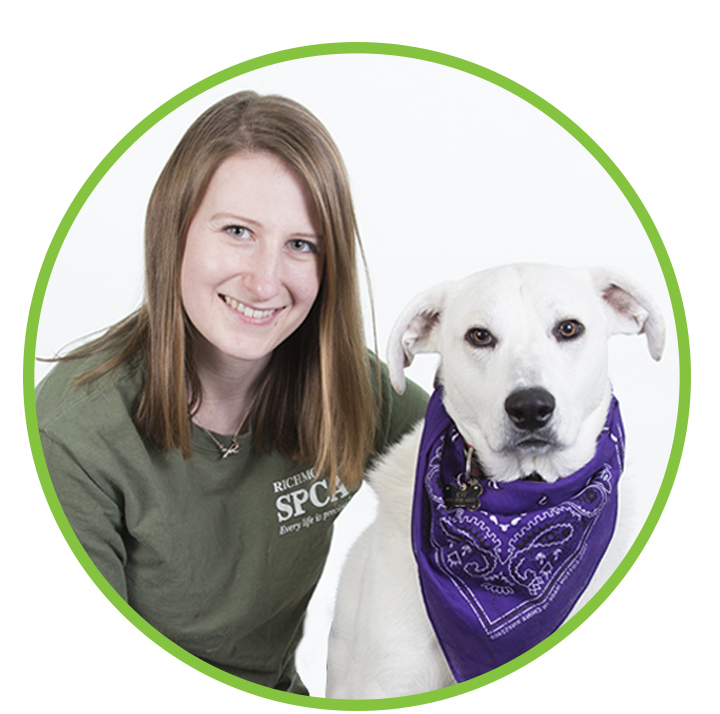 She first joined the Richmond SPCA as an adoption counselor prior to becoming a member of our Admissions department in 2016. After a dog named Evi, who would ultimately become Ellen’s companion, was transferred into our care from Wise County in 2017, Ellen’s passion for bringing pets in need to the Richmond SPCA grew immensely. As coordinator of transfers, Ellen has built and fostered strong relationships with government agencies and other private humane groups across the Commonwealth. Ellen and her husband share their home with three dogs, Spud, Obi and Evi, and two cats, Kitten and Fat-Cat.